The first Roma self-government body (RSGB) created in Svaliava is a unique institution. This future initiative of the Roma community will pose a number of answers to questions which should be provided to ensure the sustainable development of Roma communities. 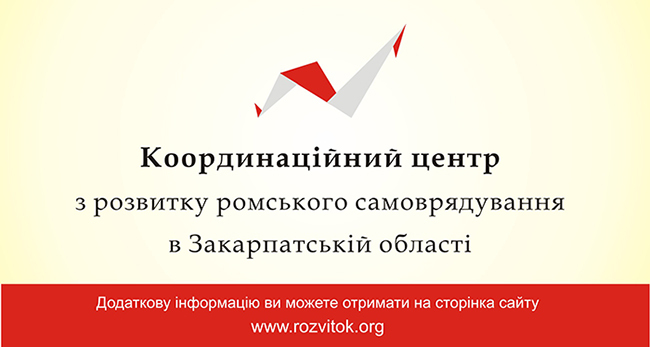 In order to improve the involvement of Roma in decision-making at the local level; and, to provide a more profound knowledge on the development of Roma self-government bodies – the Coordination Centre of Roma self-government in the Transcarpathian region begins its work. Currently, this center will operate as a separate unit of the Fund “Progress”. The work of the Center is designed to provide information and legal support for members of Roma communities in the Transcarpathian region that wish to develop Roma self-government. At the Center, the educational seminars and trainings on creation, legalization, development and good governance will also be conducted by the Roma self-government body (RSGB). The Center will provide a platform for sharing experiences and support between Roma communities in the Transcarpathian region, and the product of establishing this center will be a newly created network of graduates. We believe that this will be the only active and motivated community that knows how to use knowledge and skills acquired at the Centre to effectively solve the problems of their community. Thus, it becomes an example of a successful model for other communities of Transcarpathian region; and, it will enable the members of these communities to choose alternative ways of development of their own free will.